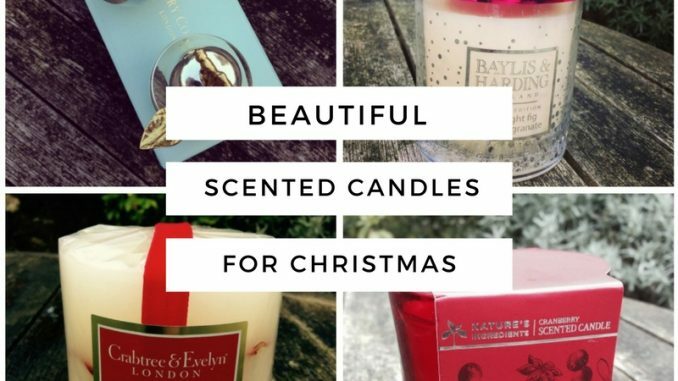 I’ve got some really lovely Christmas scented candles to show you today. 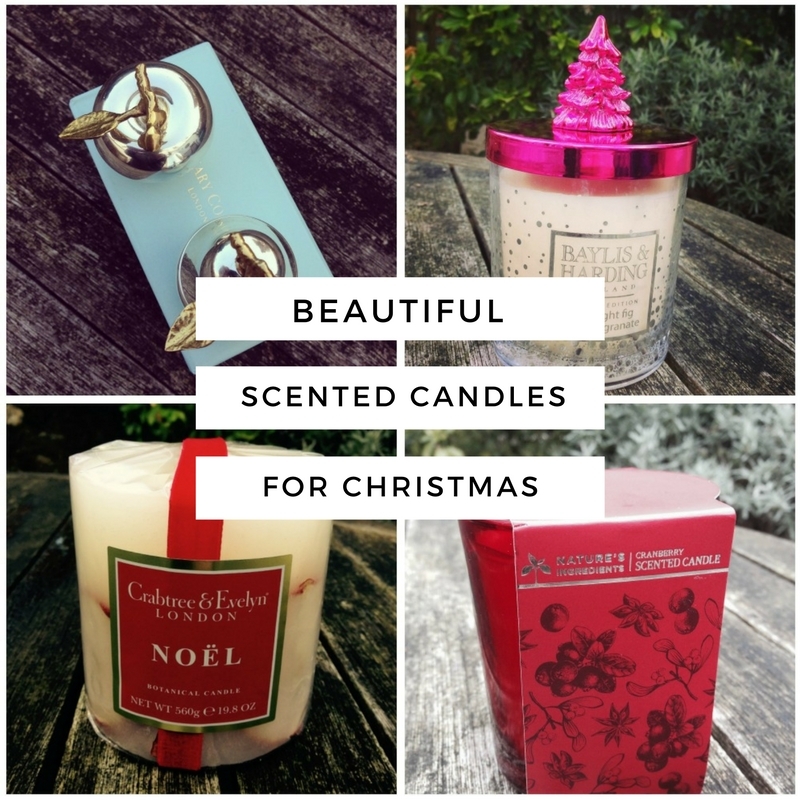 They look pretty, smell Christmassy and will definitely put you in a holiday mood. Personally, I LOVE lighting up a special candle at Christmas. Memories are made with a combination of sights, sounds and smells. A special scent in the air is as much a part of Christmas as Phil Spector’s Christmas album and eating all the food. 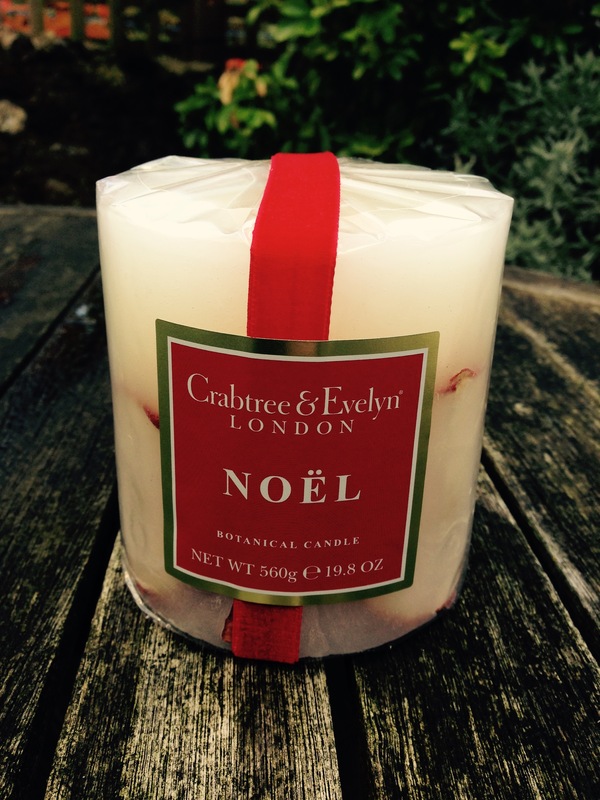 So let’s start with this one which is the Noël Botanical Poured Candle by Crabtree & Evelyn (RRP £25). Doesn’t that look the festive part? Can you see the apple slices and cinnamon sticks embedded inside? At 560g it’s quite large so it should last the whole Christmas period. 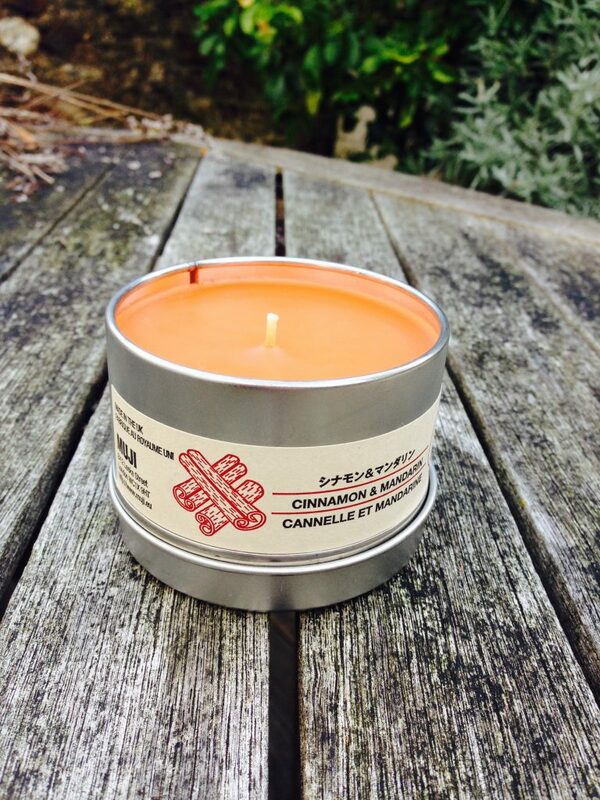 It’s got a very traditional mulled spice scent mixed with fir trees and citrus fruits. These botanical candles are designed with a lower scent level, so it’s good for small spaces or if you want a traditional but subtle scent. 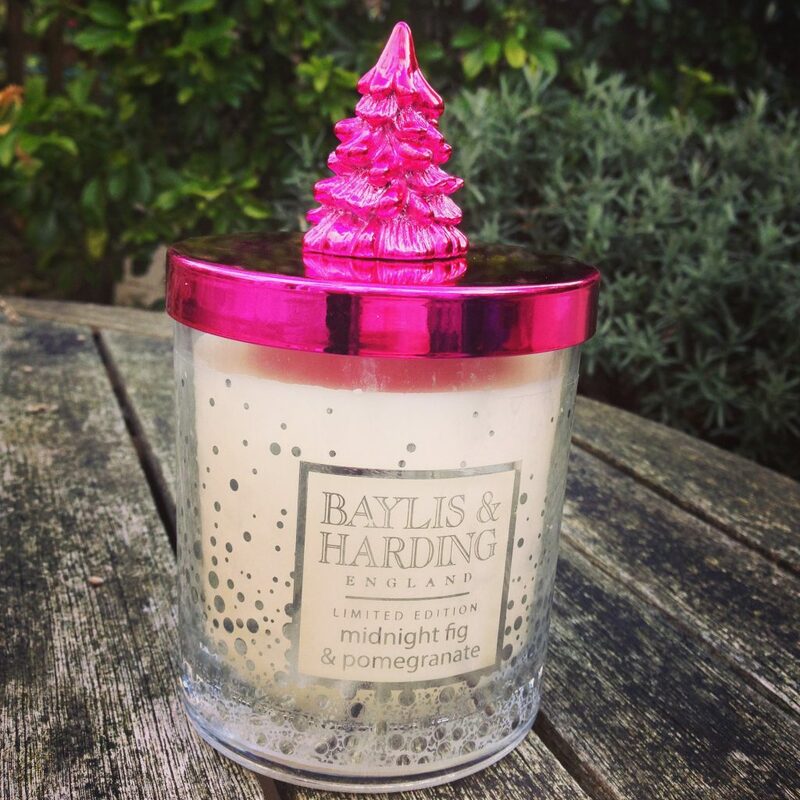 For something completely different, this traditional-with-a-twist candle from Bayliss & Harding is definitely my bargain of the week. Can you believe it’s only £6? There are a variety of colour combinations in this range, including silver and dark purple blackcurrant. This is the Midnight Fig & Pomegranate, which comes with a pretty pink fir tree embedded in the lid. The scent is quite sweet but not overpowering, and at 300g it’s big enough to last a while. 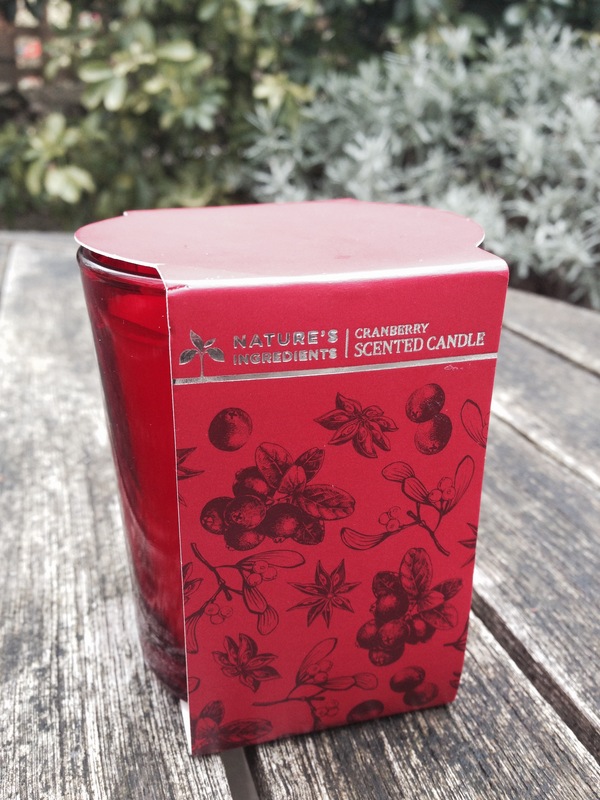 Another £6 bargain is this classy offering from Marks and Spencer: Nature’s Ingredients Cranberry Scented Candle. In fact I’ve just noticed that it’s reduced to £3 so grab one while you can. It’s currently out of stock online but have a look instore and you might get lucky. I don’t think M&S are particularly known for their candles, but they have some lovely offerings across their home and beauty departments. There’s also a 3 for 2 offer running right now so you could get your Christmas shopping done in one fell swoop. I like the cheery red glass on this one, and the scent of cranberry mixed with cinnamon, ginger, clove and nutmeg couldn’t be more festive. This next set is for anyone who likes the idea of scented candles, but thinks it a bit of a waste to buy something just to burn. 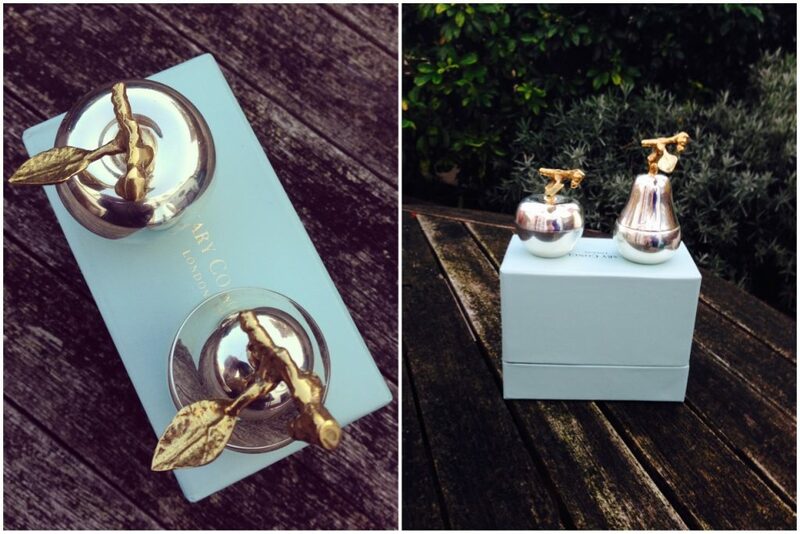 These gorgeous silver Apple & Pear candles can be used as trinket boxes once the candles have burned. They’re really lovely items. The actual candle inside is quite small, but the brass apple and pear themselves are pleasingly heavy and substantial. You can find them for £35 over on the Pia Jewellery site. I think this set is worth keeping a note of all year round, because it would make a lovely wedding or birthday present. These candles in a tin from Muji aren’t the prettiest so they may not quite cut it for gifts. But the scent is really fantastic and at £3.50 they are a total bargain and worth stocking up on. I buy these every year, especially my favourite Christmas scent, Cinnamon and Mandarin. Available from Muji stores and online here. And just time for one last one which admittedly isn’t enormously Christmassy but hey, it’s a freebie, and you’ll be grateful of it when you’ve spent all your last pennies on Quality Street. 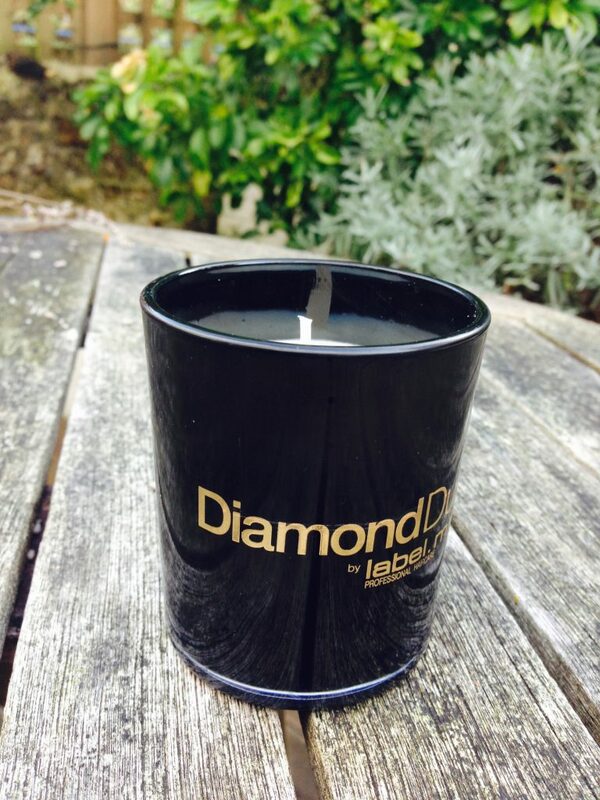 This is the Diamond Dust candle from professional haircare range LabelM. This is a gift with purchase which you’ll get for free with two purchases from the Diamond Dust haircare range. It’s just been launched in all TONI&GUY, Essensuals and label.m Concept salons. The candle is infused with the same scent as the haircare, and is a mainly floral scent with a hink of musk. It comes nicely boxed in black with gold accents, so you could gift it or just bask in the fact that your house and your hair smell the same. Come on, it’s nearly Christmas, treat yo’self.